A strange situation is developing in the Jerusalem municipal elections. It looks like Nir Barkat is set to win Jerusalem and be mayor for a second term. Many Haredim prefer his opponent, Moshe Le-On, but his chances of winning, at this point, seem fairly slim. The best hope for them right now is to find a way to split the vote on Barkat's side of the electorates. To that end enters Peppe Alou, not related to Felipe, Matty, Moises or any of the others, Meretz city councilman in Jerusalem, who has expressed interest in running for the mayorship. Alou has expressed interest, and when a group of Haredim met with him to encourage his candidacy, he said he wont be running due to a lack of funds - he said he needs a million shekels to run a campaign. 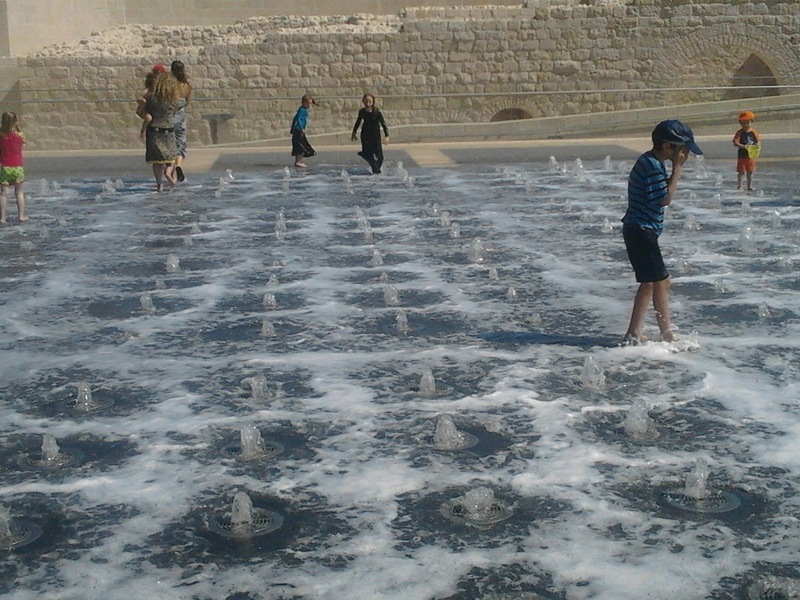 They said to Alou that a million shekels is not a problem and they can look into getting it for him. Haredi activists confirmed that such an option is possible and that they are looking into whether Alou would run to the end or drop otu in the middle - they would only arrange the money for him if he would definitely run to the end, splitting the vote, and not drop out before the election. For Alou to take such an offer would be a big move, as has has been behind a campaign to prevent Jerusalem from becoming more Haredi. Knowing that this offer is for the purpose of helping the haredim get their preferred candidate in, would be very personally selfish of Alou and would be hypocritical - he'd never live it down among those who would tar and feather him for "handing the city over to the haredim". To that end, Alou says that he won't take an agura from the Haredim, and Meretz has said they will not be running a candidate for mayor but only a party list for city council. The amount of money they would have given him doesn't bother me. Some are saying that what business do they have offering so much money for this when there are a lot of other things that could be done with this money, such as supporting kollels or running their own campaign. 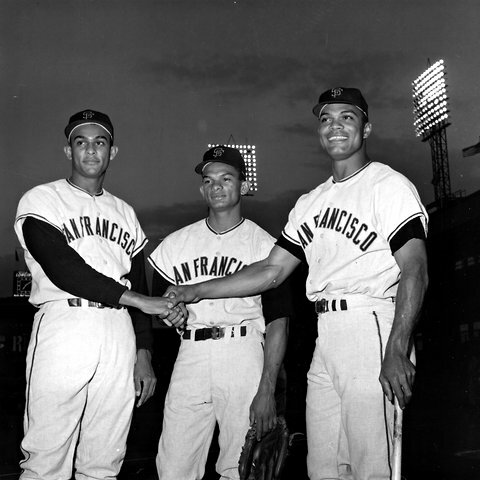 Giving it to Alou could have been looked at as an investment for the future. Getting their preferred mayor in would, expectedly, bring them more money in return in the form of money for schools and the like. I am a bit surprised by the offer, if it really happened as said in Mynet and Kikar. They must have known it would become public and make them look bad. They must have known Alou would reject the offer - a million shekels is a lot of money, but there is no way Alou could take it after his anti-haredi campaign. I don't see any serious upside to the making of this offer. Being that the group behind the offer is not named - the articles do not say that it was the haredi city councilmen or specific askanim - it just says Haredi subjects. Maybe it was a small group of people looking to make someone look bad or who didn't think making an offer would be a problem - it might even help build a working relationship... Either way it is strange. Yesterday Mayor of Bet Shemesh Moshe Abutbol announced that on Sunday he will be launching his reelection campaign. He will kick it off with a press conference and a "party", of sorts, at a hall in bet Shemesh - Ulamei Ron Tal. In response to Abutbol's announcement, a group of Haredim have publicized a call for Haredim to come to the event, but to stay outside and protest against Abutbol at the entrance to the hall. As soon as Abutbol announced his coming press conference, messages were already being passed around via SMS and Whatsapp announcing that there will be a protest by Haredim outside the Ron Tal hall at the same time. Before the article appeared on Kikar, I had already received the announcement from 2 separate people. The protest is being organized under the banner of "do you also think Abutbol is bad for the Haredim? I'd be happy if you joined our protest at the entrance to the hall at the time of the press conference." We will continue to build in the Jewish neighborhoods of East Jerusalem and in the settlements, also during the negotiations with the Palestinians.. 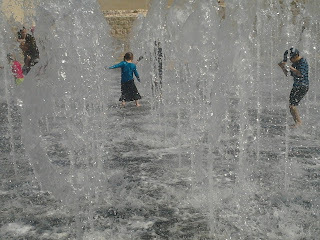 In the settlements in Judea and Samaria are 300,000 Jews. This cannot be frozen, and it will not be frozen. Some IDF soldiers in Chevron have discovered the secret to peace in the Middle East. And it is Gangnam Style. Sounds so 2012, doesn't it? Some soldiers were on patrol and heard music coming out of a night club. They went in to check out the situation, obviously in full uniform and gear, and decided to stay for the party. They danced like nobody was watching. Young Palestinians were even hoisting fully-armed soldiers on top of their shoulders. But someone was watching. The video cameras. As we say in Pirkei Avot - דע מה למעלה ממך , עין רואה ואוזן שומעת וכל מעשיך בספר נכתבים - know what is above you, a seeing eye, a listening ear and all your deeds are being written in the book. Someone is always watching. Before Rosh Hashana it would be good to take the lesson and remember God is always watching our actions, but nowadays with every simple cellphone bearing a powerful camera, there is always a human being watching and recording as well. The biggest surprise - I had no idea there were nightclubs in Hebron! They are being criticized for being reckless - they could have been abducted, shot, stoned, or other, and will surely be punished by the IDF for not doing their tasks and following orders, but perhaps they really found the secret to peace in the Middle East..
in light of yesterday's operation to conclude the bringing of Ethiopian Jews to Israel, this video is worth watching..
these are very well done election videos, for the elections for Jerusalem City Council.. the issues are the same all over, and Rachel Azaria finds an entertaining way to point them out.. 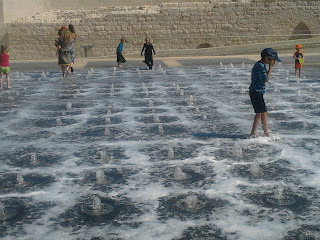 I want to spend the summer there.. The Shlomei Emunim primary to select a new representative for its slot in the UTJ party list has concluded and a winner has been announced. The winner is Shimon Goldberg of the Lelov hassidic group who trounced his opponents with 165 votes. Avraham Nachman Frankel of Breslav came in second with 10 votes. The real winner, though, is more likely to be Shmuel Greenberg. Greenberg will probably now have an easier time getting his demands met to be appointed Deputy Mayor with salary and to have Moshe Montag reappointed as head of the Department of Construction and Planning. After all, it is such an important position at this juncture that it would be irresponsible to give it to an inexperienced newcomer.. Throughout the Western-hemisphere countries, it is fairly common to require women or men who are irregularly covered up to expose themselves, in private accompanied by an official of the same gender, for the purposes of identification when so required, such as in airports or government buildings. You can not apply for a United States passport wearing a burqa or a hat. In many states when applying for drivers licenses or passports of ID cards, any hats and sunglasses must be removed. It makes sense, as somebody has to confirm the persons identity. If there were no such need, terrorists, smugglers, runaways, criminals, etc would all apply for identification using fake names and wearing clothing that keeps them from being identified. In Israel, Jerusalem city council candidate Aryeh King, representing "the outlying neighborhoods" wants to make a similar requirement for the upcomng municipal elections. he has filed a petition with the election board to require any person coming to vote while wearing a burqa to go to a private area with a female official and remove the burqa for identification purposes. Makes sense to me, no explanation necessary. King, however, did explain - he said the obvious. Letting someone vote without identifying them will allow someone to vote more than once. King's petition applies mostly to female Arab voters, largely from East Jerusalem as well as to a small amount of extreme haredi women. King, considered a far-right wing candidate is being accused of fascism. MK Issawi Frij (Meretz) says King is doing this out of hatred and his petition should be rejected. I don't know if King's real reason is the practical aspect of it, as he says, or if he has an agenda of hating Arabs and trying to minimize their vote, if even a bit, or make them uncomfortable. Either way, this proposal makes so much sense I am surprised it was not already a rule. Of course this affects us here in Bet Shemesh as well, but with such a small number of burqa ladies, and most of them probably don't vote anyway, it is far less of a critical issue. In studies, only one in ten cases of child abuse are ever reported. Reporting of child abuse in Beit Shemesh is just half the national average. In other words, for every case which is reported, a further 19 remain hidden. The victims remain at risk, unprotected and untreated, and the perpetrators continue to operate without consequence.. The problem of child abuse in our community is now being effectively & responsibly addressed by "Magen", the Beit Shemesh Child Protection Organization. In this past year, calls for help to Magen have DOUBLED. Over 70% of these calls are from Anglos - from every sector of the community. 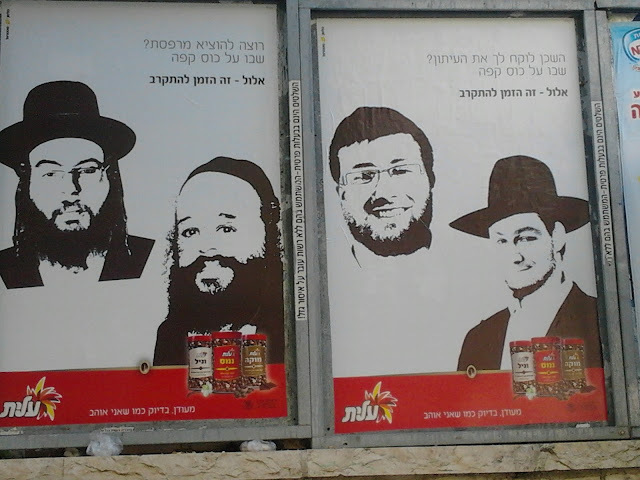 Hareidi, Dati-Leumi and Secular. Magen's free services have had a remarkable impact on the awareness of child abuse/protection in our community,and the ability for those effected to step forward discretely, and for victims/survivors to receive the help they need. Many child abuse perpetrators can no longer operate without consequence; today they face better protected children, and arrest & justice for their actions. B"H, our community is safer for our children this Rosh Hashana, than it was last Rosh Hashana. Magen can only continue its work, and keep up with the increasing demand, with your financial support. Therefore, along with other worthy local charities you generously donate to at this time of year, this year, please also make out a check to "Magen". 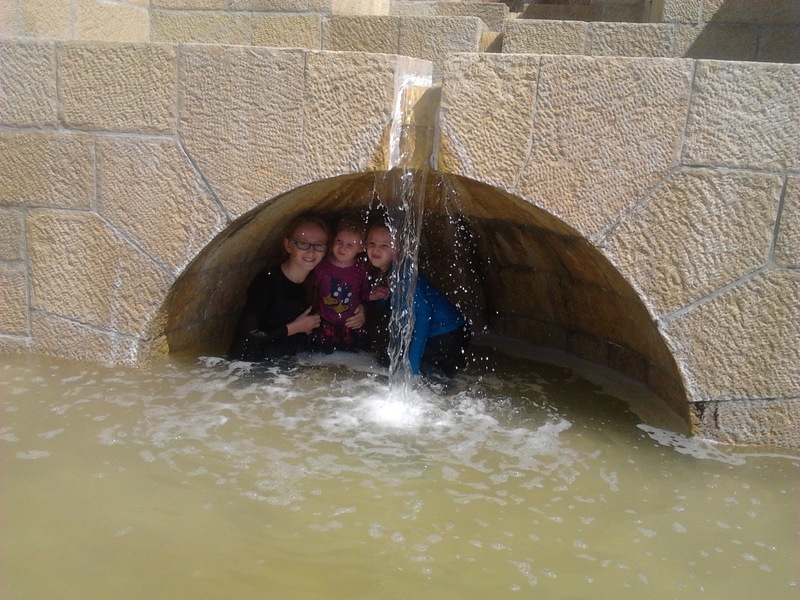 Our address: "Magen" Child Protection Center, 50B Rehov HaRakefet, Beit Shemesh, 99504. Please feel free to call us with any questions: 02-9999.678. 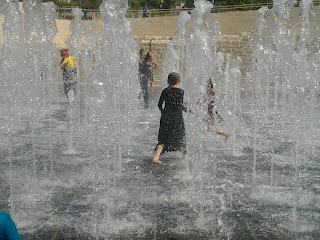 Magen wishes our whole community ketiva vechatima tova - and for all our children, a safe new year. P.S. You are welcome to send this post on to your friends or family who may have an interest in child protection. There is a lot of fighting going on about who will be supporting whom, and most of the fighting is within the Haredi parties themselves. UTJ is fighting with Shas, Degel is fighting with Shlomei Emunim, Meir Porush is fighting with Shas, Shas is fighting with Shas (yes, that was not a typo), and some people think Bet Shemesh has only been in existence for 15 years (though he probably meant since he came to Bet Shemesh 15 years ago rather than saying since Bet Shemesh was founded 15 years ago). 1. Mishpacha newspaper weighed in on the fight betwene Degel and Shlomei Emunim over which representatives should get the more senior positions of UTJ in the coming term. As a result of the fighting, Degel representatives speaking to Mishpacha said that their internal polls show Eli Cohen defeating Moshe Abutbol, and they are again weighing the option of running their own candidate and forcing Abutbol to step down. This statement might have been to pressure Abutbol to give in to their demands about jobs for the coming term, or maybe they are serious. 2. Shlomei Emunim is holding primaries today to determine its representative for City Council in bet Shemesh. These primaries are in the backdrop of the fighting between Shlomei Emunim and Degel HaTorah, as well as between Meir Porush and Shas in other municipalities around the country, especially Elad. While Dovid Veiner is relatively popular and has served on the city council for 15 years, since Bet Shemesh was founded (oops), his star is falling and he will likely be pushed out by other candidates vying for the spot. This too may be a maneuver to push out Veiner, who has a valid claim to take the top spot from Greenberg of Degel, and replace him with a newcomer which would then guarantee the top tasks for Greenberg and Montag in exchange for Degel support for Porush's son in Elad. Let's see who wins the primary, and see how this turns out. 3. Meir Porush is fighting with Shas about Elad, as he wants to run his son for mayor, but Shas and Rav Ovadiah are fighting him and are not pulling punches. Porush today threatened to not vote in Bet Shemesh for Moshe Abutbol, but to vote for Shalom Lerner. He should update his information as Lerner is not running this election season, but he supports Eli Cohen for mayor. I do not know if that changes Porush's threat, or if he will support Eli Cohen just to take revenge on Shas, but nothing is in the bag just yet. 4. Shas is fighting with UTJ in many municipalities around the country, wherever they run joint lists. They are looking for better positioning on the party list and in some cities want the top spot and no longer be subservient to the UTJ reps. If this fight persists, it could have bad ramifications for UTJ supporting Moshe Abutbol in Bet Shemesh. 5. According to Bechadrei Charedim, Shas is also fighting with itself. Yes, with itself. Supposedly within Shas there are calls for the party to pull its support for the candidacy of Moshe Abutbol. If this faction has its way, Abutbol would be forced to step down and make a deal to support Eli Cohen for mayor and in exchange take senior positions in the coming coalition. Someone speaking to bechadrei said that in the past years despite Shas holding the mayorship, the Ashkenazim really controlled City Hall. If Shas closes a deal with Eli Cohen, they very well might get more power and serious roles than they would with Moshe Abutbol at the helm. Are they bluffing? Maybe. It just means that nothing is in the bag yet. Anything can happen. Just last week the Rabbanut exposed a scandal that had been narrowly avoided when a mashgiach caught a restaurant owner in Ashqelon trying to pass off non-kosher meat as kosher. It is possible that before being caught last week he had succeeded in sneaking it past the mashgiach and served non-kosher meat to his customers. It seems the owner of the restaurant was sly and it is thanks to the mashgiach that they caught his deceit. The owner would buy kosher meat, and also non-kosher meat, would remove the stamp and bring it in in the bags from the kosher meat. That is how he tried to trick the mashgiach. [People should raise their level of awareness when eating in restaurants - ] I am a Haredi rav, and I support mehadrin kashrut, but there is also the standard kashrut which is definitely no less kosher than in any other city, if not better. I have been a rav here for 30 years, and I never saw anything like this. Mishaps have happened in the past, also in chutz la'aretz, and also with the Eida Hachareidis. What I recommend to people is to be particular about glatt meat (chalak), and to at least ensure that the boss is religious. The Eida might not like being pointed out as having had such mishaps in the past, and they would probably deny it, at least at any level similar to this one. I agree with Rav Bloi that people should look around and be aware of what is going on. Many such incidents are exposed simply by people paying attention and being aware, knowing what they should expect to see, sensing something is not right. Researchers and students of the American Jewish experience often examine the community's music as a way of expressing the historical development of the community. The first Jews in North America arrived in the 1600's, refugees whose families had fled the Spanish Inquisition to Holland and then South America and then moved north to escape as the Spanish and Portuguese brought the Inquisition to the South America continent. The early American Jewish community was identified as Sephardic and until the 1800's almost all of the synagogues and Jewish communal traditions followed Sephardic traditions. By the mid-1800's, German Jews began to immigrate to America and brought their own customs. The wave of Jewish immigration continued in the late 1800's and early 1900's with a influx of Eastern European Jewry that was estimated to include almost a million Jews. Among the wave of European Jewish immigration were some of the greatest hazzans -- cantors -- of the day. Singing during worship can be traced back to Temple times and continued well into the Middle Ages but hazzanut began to come into its own in 19th century Europe. During this time it became customary for hazzans to chant the services, oftentimes in Hassidic courts or before the great rabbis of the era. The "Golden Age" of hazzanut in American is generally agreed to have peaked in the early 20th century when cantors such as Yossele Rosenblatt, Gershon Sirota, Zaval Kwartin, David Roitman and Yankev Shmuel Maragowski performed in synagogues and Jewish community centers as well as in American cultural venues before the general American public. The Holocaust took a tremendous toll on the world of Ashkanazi hazzanut as the traditional centers where Ashkanazi hazzanim were trained had been destroyed. However, a new generation of American hazzanim has contributed to the resurgence of the craft. One of today's most prolific and talented hazzanim is Benzion Miller who is favored by many Hassidic rebbes in America and in Israel. Benzion Miller was born in December 1947 in a DP Camp in Fernwald, Germany. His family immigrated to America and he began singing when he was five years old, often accompanying his well-known father, Cantor Reb Aaron Daniel Miller, at public gatherings, such as Bar Mitzvahs, "Melave Malka" gatherings, and other Jewish functions. Miller studied music theory and voice production in Montreal with some of North America's foremost cantors and he served as the head soloist in the Yeshiva Choir. He was also invited to sing in many solo performances. When Miller was 18 years old he accepted the position as Cantor at the Hillside Jewish Center in Hillside, NJ. Since that time he has filled positions in the Bronx, Montreal and in Toronto. He presently serves as full-time "shaliach tzibur" at the prestigious Beth-El Congregation of Borough Park/Young Israel Beth-El of Borough Park where he also functions as a mohel and as a shochet. Miller considers himself a follower of the Bobover Rebbe. He attended the Bobover Yeshiva in Brooklyn, NY and the Bobover Yeshiva Kedushat Zion in Bat Yam, Israel and often performs for the Bobover Rebbe. He is recognized as one of the modern era's foremost interpreters of Liturgical Music and is equally at home in Operatic Repertoire and Jewish and Chassidic Folk Music. He has appeared with the Israeli Philharmonic Orchestra, the Rishon L'Tzion Symphony, the Haifa Symphony, the Jerusalem Symphony and with members of the London Symphony. Following the fall of communism in Eastern Europe Miller began to appear before Eastern European audiences including in Romania, Russia, Poland and Hungry, where he sang liturgical, Chassidic and Yiddish music with the Budapest State Opera Orchestra. In November 1998 Miller recorded some of his best-known pieces for the Lowell Milken Archive, an archive of American Jewish music, with the Barcelona National Symphony Orchestra. Last year a rav of a shul in Flatbush announced that anybody in his shul who uses a smartphone would not be included in the shofar blowing and would have to go elsewhere to fulfill the mitzva. This year the son of the Vizhnitzer Rebbe, Rav Chaim Hager - rav of the Vizhnitz shul in Boro Park, has made a similar announcement, at a conference against technology in Monsey. Rav Hager said that anybody who has a non-kosher cellphone should not bother wasting his money to travel to daven by the Rebbe for Rosh Hashana, as the Rebbe will not daven for him and any tears such a person cries on Rosh Hashana go to the Sitra Achra - the forces of evil. He then added that he himself is the one who blows shofar and he is announcing in advance that he will not have in mind anybody who has a smartphone when he blows shofar, and such people will not fulfill their mitzva. if you were planning to daven in Vizhnitz, plan accordingly... either get rid of your smartphone, and I imagine it is not good enough to just not bring your phone to shul on Rosh Hashana, or find somewhere else to hear shofar on Rosh Hashana. Or maybe get a shofar-blowing app for your smartphone and just stay home since by going to shul you will just be strengthening the forces of evil anyway. And if you weren't, well - good for you. This is a worksheet given out in the Vizhnitz school.. it is a worksheet based on Mishnayos, and the guide for the answers is at the bottom - a map of the world. The student is instructed to fill in the answer in what direction the Rebbe davens when in Australia, and then in which direction when in America. The Rebbe is the compass for them. In more ways than one - in life and on the map. Picture of the Day: Elul! We are in Elul, and if the call of the Shofar has not been enough to wake you up.... maybe Elite's coffee will! 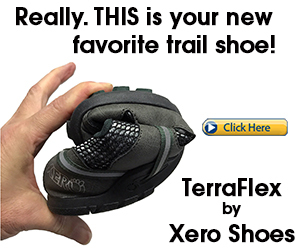 Check out these ads! Very cool theme.. If we are about to get nuked or gassed, should I even bother taking my kids to get their polio vaccine? Curious to understand what Minister Bennet's solution was for Women of the Wall, with a platform called Ezrat Yisrael? Bennet will give you a tour! and as an added benefit, they even get duty free! Elections are coming up in many cities around Israel.. The date for the elections is October 22, 2013. In order to be able to vote in the city in which you live, you have to be registered as living in that city by no later than September 12, 2013, 40 days prior to the elections. On that date the voter rolls will be closed by the Ministry of the Interior. Sometimes people move houses, from one city to another, and do not update the Misrad Hapnim with their new address, and get a new teudat zehut, so quickly. If this applies to you and you want to vote in your city of residence, make sure to go to the Misrad Hapnim and register your proper address. You can also download the forms from the Misrad Hapnim website and mail them in. Get this taken care of now, wherever you live. don't wait until the last moment... if you want to vote.. Does a mehadrin hechsher indicate increasing levels of extremism in a city? 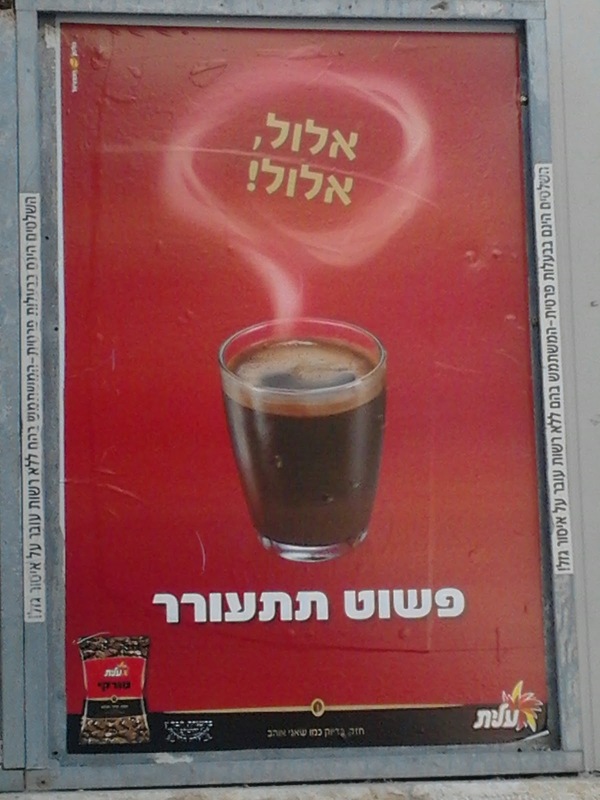 According to Kikar, a coffee shop in Ranaana recently got a mehadrin hechsher. The manager of the shop used Facebook to spread the word around town and sent out invites. Among the many pages on which the invitation was placed, the page of the Ranaana branch of the Meretz party was included. As a response, the Meretz person wrote that they wish the coffee shop much success and plan to come visit, but it is a shame that they got a mehadrin hechsher. If it was me reading that, I would have just moved on, no surprise there, after all it is Meretz. In fact it was relatively nice - they did not ban the shop or badmouth it. They expressed their disfavor with the extra religious hechsher, which they feel is unnecessary, but still said they would come visit and wished the owner success. Other Facebook users who saw the interaction got upset with Meretz for badmouthing the hechsher and wrote so in responses to the Meretz comment. Meretz responded to the complaints by saying "Israel has a Rabbanut with religious councils who are responsible for the kashrut system. The mehadrin kashrut is run by private groups who cause prices to increase due to the cost of the mashgiach (and we all know how thorough their work is) on to the consumer and the products. There is no reason to support mehadrin products, and definitely not for organizations like the Badatz Eida Hachareidis which is an extreme and closed organization... The restaurants choice to get a mehadrin hechsher in Ranaana is a phenomenon that has not existed before and it testifies to a certain level fo increasing extremism and a stringent approach by which the religious community in town is being pulled.. It is important to differentiate between kashrut and mehadrin kashrut." What do you think - does mehadrin automatically mean extreme? Maybe the issue is not in Ranaana. Near Ranaana there are many office buildings bringing people form around the country. Maybe the proprietor of this shop saw an opportunity to bring in business from the office buildings that nobody else was attracting, and it has nothing to do with extremism in Ranaana. Or maybe it does. Or maybe there are some "more religious" people in Ranaana, people who have always been there but never ate out because there were no restaurants catering to their culinary needs. This restaurant decided to attract them locally instead of watching them all leave town to go eat in places like Netanya, Bnei Braq, Ramat Gan and others. Does one restaurant getting a mehadrin hechsher indicate anything specific other than that the proprietor thinks he will have enough new customers to justify the additional cost? One of the great cultural differences between living in Israel, specifically for a religious Jew in religious neighborhoods, and between living in America is the culture of the pashkevilim - the posters on the walls and the flyers scattered through the streets. It does not exist in America. It is littering to toss thousands of flyers in the street, and any city with a city council and mayor worth a lick would not such a thing happen, and would levy a serious fine on anyone who tried. In Israel it is a major part of the culture, it is how news is spread, how announcements are made, it is part of the scenery, and some even say the glue of the posters on the walls actually hold up some of the old walls in Jerusalem! 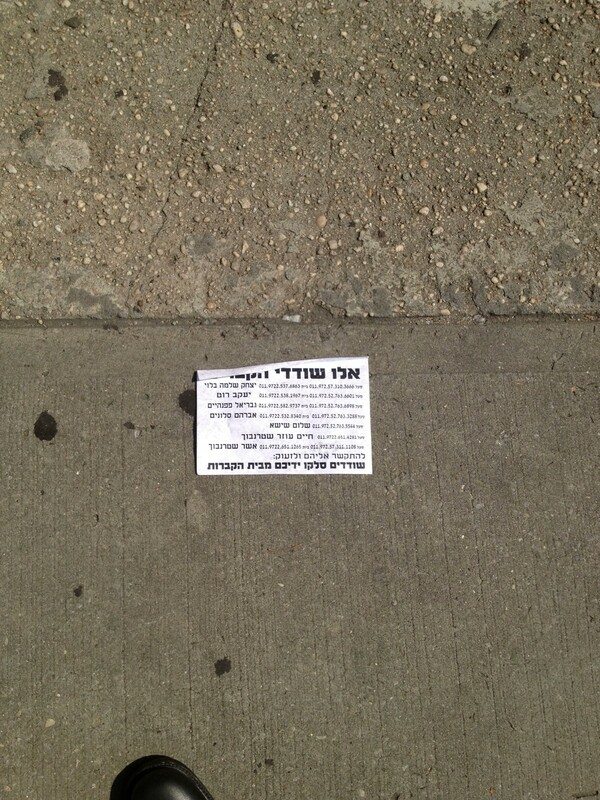 Recently some in New York have decided to import the Israeli pashkevilim and spread them around the streets of Boro Park and Williamsburg. The pashkevilim were decrying the uprooting of graves at the Goloventzitz site in Bet Shemesh. As a result of the littering the city streets with thousands of flyers, the City of New York fined store-owners and homeowners where the streets and sidewalks were littered. Even though these people did not toss the flyers and litter the streets, they are responsible for the cleanliness of the sidewalks in front of their homes and businesses, and therefore had to pay fines for the mess on the property they are responsible for. NY City Councilman David Greenfield has turned to the Sanitation Department and is encouraging them to levy heavy fines on the people responsible for the flyers. Greenfield said "It is illegal and quite frankly irresponsible to dump thousands of fliers throughout the neighborhood regardless of what the message is. If you don’t like someone our Constitution protects your right to stand on a street corner and yell, but you have no right to litter that same street corner. This is a fair warning. I will work closely with the Sanitation Department and other government authorities to find those responsible for littering our streets and hold them accountable. If you do this, you will be caught and held accountable." Some of his constituents might not like it, but Greenfield is making a good move to quell this before it becomes a trend and gets out of hand... In the end, the majority of the pashkevilim are religious Jews attacking other religious Jews for following "other" rabbonim... better not to import that part of Israeli culture to America. Stick to importing chumus rather than pashkevilim. Bennet's decision is not clear to me. Does he mean this fight is over and they will now have to wait until the new plaza, Ezrat Yisrael, will be built for them? Does he mean only until Rosh Hashana the Women of the Wall wont be allowed to daven there but after the holidays they can get back to fighting? 7. the new Moshava park in Zichron.. there is more than just Teddy in jerusalem..
8. is your tuition going down? 11. is he a wife-beater or a tzaddik? 16. what's wrong with the Star-K kosher phone? Last week the TOV political party of Bet Shemesh held what is probably the first primaries of a Haredi party. Truth is that is not really the first, as they said it was. In Beitar the Degel faction has held primaries just a couple weeks ago, but also in years past, to determine its leader. There is a difference, as in Beitar there was national party involvement and it was not purely a primary of the people. TOV was more grassroots, even if simply because they have no national party affiliation. Either way, it seems that TOV has already had a major influence on the local political scene. Following in TOV's footsteps, the "Shlomei Emunim" faction of UTJ in Bet Shemesh has decided to hold an abbreviated primary to determine its list of representatives that will be placed accordingly in the larger UTJ list. The Shlomei Emunim faction, led nationally by Meir Porush, is currently led locally by Dovid Veiner. That may or may not change, depending on what happens this week. Veiner and Shlomei Emunim have been demanding a higher position in the upcoming coalition, assuming Moshe Abutbol wins reelection, on the basis of an implicit rotational agreement as UTJ works around the country. With Degel having held the more senior positions (of the UTJ faction) in the outgoing coalition, Shlomei Emunim says it deserves the more senior positions (of the UTJ faction) in the upcoming coalition. There are rumors that Porush may be angling for a deal in which he gives up to UTJ his demands in Bet Shemesh for the more senior positions in exchange for support in Elad for his sons candidacy for mayor. How will the primaries work, as it is only a faction of the larger party? The Shlomei Emunim faction is made up of a number of the smaller Hassidic courts. Whoever wants to submit his candidacy to head the Shlomei Emunim list must do so by Monday (tomorrow), and on Wednesday the vote will be held. The voting in the primary will not be conducted by the voters in the general population, who are members of Shlomei Emunim. The voting will be conducted by community representatives, divided up among the various Hassidic groups associated with Shlomei Emunim. The largest group within Shlomei Emunim is Breslav, and they get 37 representatives on the electoral body. Hamasmidim has 27 reps, and Vizhnitz Monsey has 18 reps.
With UTJ polled to increase its representation, from the currently held 5 municipal mandates to anywhere from 6 to 8 mandates, Shlomei Emunim might even get more than one rep into the UTJ faction's realistic slots. In addition to Dovid Veiner of Sadigure and Biala, Avraham Nachman Frankel of the Breslav faction has also submitted his candidacy, along with Shimon Goldberg of Lelov. There is also talk of a Seret Vizhnitzer Shmulik Tirer) from Petach Tikva possibly submitting his candidacy and he would move to Bet Shemesh. According to the article, Chabad is in negotiations to join Shlomei Emunim. This would be a big hit to TOV. Despite not having any commitment yet for the coming elections, in the last elections Chabad supported TOV. In a rare moment of patting myself on the back and plugging my site, I can say that over 2.5 months ago I pointed out a trend of religious women, associated with the Haredi community, running for elections in city councils across the country. I first pointed to Ruth Kolian of Petach Tikva and later to Shira Georgi of Tzfat when I called it a trend. Later Esther Vahav joined the race in Tiberias, but by then there was no need to mention it, as the trend had already been out in the open. Rare is the situation in which any given political party represents perfectly the ideals of the people who support it. Each person chooses to support the political party, or candidate, it feels will represent him or her the best of all the options. When one has to choose between the good and bad aspects of a party or candidate compared to the good and bad of a different party, that person will decide which issues are of greater importance to him, and then will resolve his conflict by choosing the best of the options, even though that party does not completely represent him and everything he believes in. UTJ never claimed to be a right-wing party. They claim to be the party that is concerned for the yeshivas, the avreichim, public adherence to the rules of Shabbos, "authentic" Judaism, and other related issues, with the utmost priority being the yeshivas and the avreichim. Anything else is in addition to all that and with no commitment to a specific policy. This is despite the fact that it is well known, and polls over the years have confirmed, that the average supporter of UTJ, the average Haredi voter, is relatively on the right-wing side of the political map. Usually there is little conflict, but when the issues collide, the yeshivas will win out over the "settlements", over many Land of Israel issues, etc. So people should not be surprised when MK Gafni (UTJ) reaffirms that fact by saying "We are not a right-wing party. We are not the Likud" to justify his partnering with Meretz to achieve certain goals to benefit the yeshivas (by reducing budget cuts supported by both parties even for different purposes). UTJ will partner with anybody, and they always have, they feel can help them achieve their goals. That is the way it has always been and nobody should be surprised or upset about it. And if somebody does not like it, if somebody feels the Land of Israel issues should have higher priority than the yeshivas when the two are in conflict, they can choose to not vote UTJ, knowing that UTJ prioritizes differently. If you do not like it, there is nothing to be upset about, just don't vote for them. They tell everyone in advance what their priorities are. If that matches yours, support them. If not, don't. I love the idea, but does anybody have any idea what type of food "authentic food" is? Channel 2's morning show brought in Racheli Ibenboim to talk about how she tried to enter politics and was forced to step away.. very interesting how she describes what happens and how she blames the askanim to the point that the rabbonim are afraid to stand behind their own decisions because of the askanim.. she also says she was trying to change Haredi society a little bit..
Another point that comes out of the interview is that when they say "the women want", it is not really the women want, but they say they want because otherwise they will be attacked.. such as when they say the women really want to sit int he back of the bus, or women dont want to be in politics.. I am surprised they brought out MK Ayelet Shaked to basically just sit there and hardly ask her anything..
and I think it is pretty sexist of them to bring Ibenboim out to talk politics and about cooking for Rosh Hashana Would they bring out a male politician to talk politics and cooking? They should have had her on two separate shows - one to talk politics and one to talk cooking. Yitzchak Pindros, City Councilman in Jerusalem for UTJ, has revealed and exposed a letter sent by the Director of the Ministry of Education, last year, to Mayor of Jerusalem Nir Barkat about the importance of opening Haredi Yeshiva High Schools in which the students will study a full curriculum and take the bagrut matriculation exams. Pindros has exposed the letter to show what the Ministry of Education's target is, and also to reveal that they are working to designate a plot of land for a building for one such yeshiva high school which is currently not in Jerusalem, at the expense of the schools in Jerusalem that already have a shortage of buildings and classrooms. It happens to be that I disagree with Pindros and see no problem with them seeing such schools as very important and encouraging more of them and helping them when possible. I am not commenting about a specific yeshiva and/or a specific building or plot of land and who should or should not get it, but overall I think such yeshivas should be encouraged. After having said that, I think there is another issue that must be dealt with. If the Ministry of Education really wants to encourage such yeshivas and open more of them and grow the existing ones, as it is a matter of great importance, they should deal with the contents of a recent Ynet article in which it was revealed how exorbitant the tuition is in thee yeshiva high schools. I have a child in one of these types of schools, so Ynet was not telling me anything new, but for most people it was shocking information to see how much money parents have to pay for these schools. if the government really wants to encourage such schools and encourage parents to send their kids to these schools, they should be subsidizing the tuition much more than they are, if they are at all. The tuition costs are so high that plenty of people would like to send to these schools, but just decide that they cannot. If the government really saw these schools as something so important, they would find ways to cut the costs to parents so the schools are more affordable. R' Shmuel Pappenheim has no problem bucking trends of the community he is part of. His latest is an announcement that people who wear shtreimels should stop using shtreimels made from hair from animals and instead should switch to synthetic materials. It is not really a radical statement, and it has been suggested before by others, but within the hassidic community there has always been opposition to the idea - to the point that when the Knesset wanted to pass a law banning the use of furs, the haredi parties opposed it due to the problem that would cause for people who wear shtreimels. Pappenheim said this at a meeting of interested parties regarding the topic of "animal rights in Judaism". He said that wearing the classic shtreimel causing a tremendous chillul hashem, and at a time when the entire world is making noise about mistreatment of animals, tzaar baalei chaim, we should stop this minhag which involves mistreating animals. According to Pappenheim it is both an aveira and a chillul hashem, and replacing it with synthetic materials is not canceling a mitzva in any way. It happens to be that I agree with Pappenheim, but for different reasons. I disagree with Pappenheim that this is a tzaar baalei chaim issue. When the process is done for no reason at all, no benefit to humans, then it is tzaar baalei chaim. When there is a benefit to the process, it does not have the status of tzaar baalei chaim. That being said, it still looks bad in the eyes of animal rights activists and people who are concerned with those things. I think the process of how the furs are taken from the animals should be changed to be less cruel. It is not in our hands to do so, but we should work with the factories to improve the process, considering our community is a significant consumer of this product. And if we are not really that significant of a consumer, as the shtreimel market is relatively small and other communities are much greater consumers (e.g. 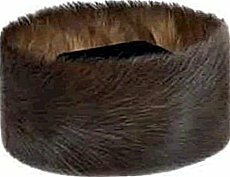 fur coats or whatever else fur is used for), then we needn't be concerned as the shtreimels dont cause the problem, it is those larger markets that are more of the issue. True, we should be an ohr l'goyim, but I dont think that obligates us to this move in any way, especially if we are an insignificant part of the market that is easily ignored. However, I do agree with Pappenheim that the haredi/hassidic community should switch to synthetic materials, but not because of tzaar baalei chaim. I think they should switch because of the high cost. A shtreimel can cost thousands of dollars, and even a simple shtreimel can cost a couple thousand shekels. At a time when the community is tight on funds, people don't have money, the government is cutting the funding to haredim in all sorts of directions, I think it is prudent for people to spend far less money whenever possible. If they can pay a third of the price (according to Pappenheim) on a synthetic shtreimel, they should. Sure, some people have money and they can/will buy whatever they want, but I think most people should follow a standard of paying less for the shtreimel, and synthetic gives them that option. It seems that snitch-lines must be a successful method of the government finding out the information it looks for. Besides for seeming dirty, encouraging citizens to turn on each other, it seems unprofessional - the government should have better methods, it should do its own work. They charge us an awful lot of money in taxes to pay the salaries of lots of government employees - they should be doing their own work and not dumping it on the citizens of the State. Habayit Hayehudi is opening a new snitch-line. This snitch-line will be targeting mashgichim - kashrut supervisors - of restaurants and other food establishments who supposedly disappear on the job. When this happens, it gives the feeling over to the restaurant owners that the concept of hasgacha is really just a business and nothing to do with kashrut. The project is being run by the "Secular division of Habayit Hayehudi" and they promise that every case reported will be investigated and passed on the Ministry of Religious Affairs . If you are curious, the phone number of the snitch-line to report on such mashgichim who do not do their job properly is 052-873-6395. 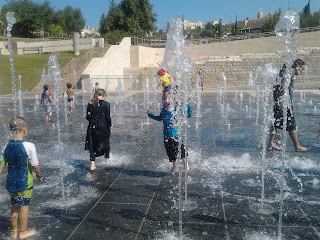 Teddy Park: free water fun in Jerusalem! 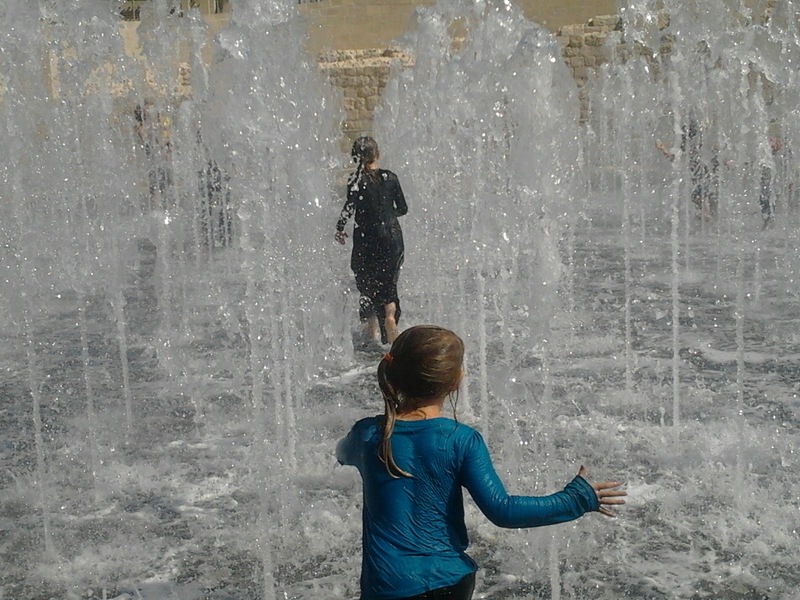 Recommendation: If you are looking for something to do, especially with kids, for free, in Jerusalem, that can be a lot of easy fun, head on over to the new Teddy Park in Jerusalem. It is across from the Old City, adjacent to Ir Dovid neighborhood, behind the King David area, next to Chutzot HaYotzer and pretty close to the Old Train Station. I decided to take my daughters there this morning, being that they start school next week. We had a great time, though we parked a bit too far away and had a bit of a walk. I just did not know what parking would be available closer - there will be plenty of parking as there are lots all around it. The park is a beautiful piece of landscaping. You walk down into it and there is a pond, with water flowing on a path down towards the main area of the park. Walking down, you walk through an area with different parts of Teddy Kollek's life described - the park is named for him. 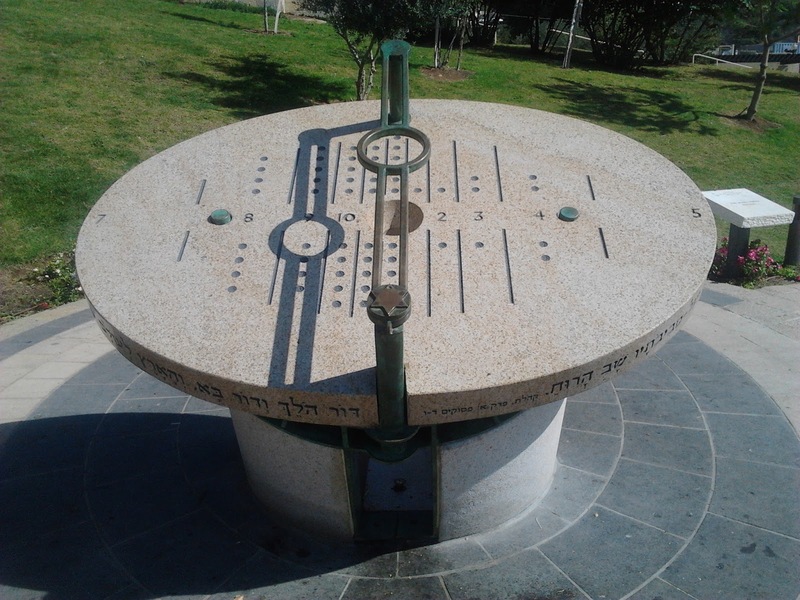 Then there is a cool sun-dial. 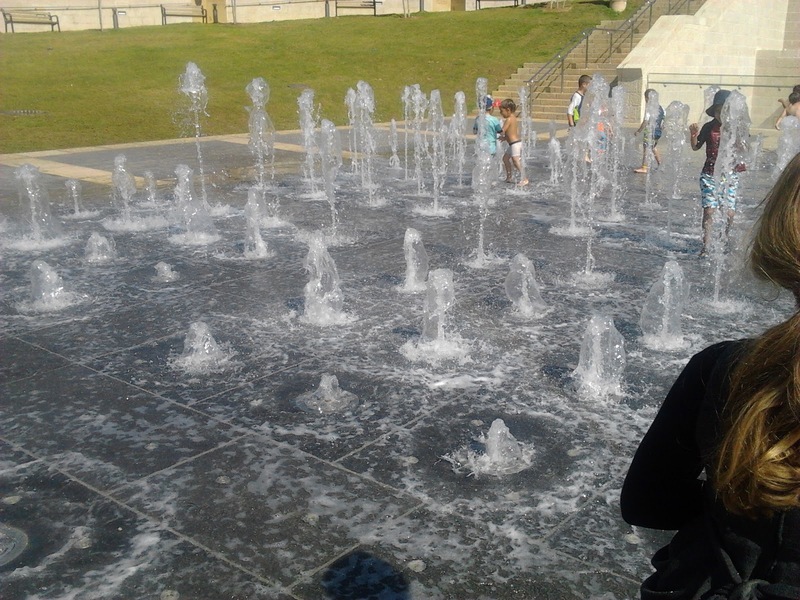 When you get to the bottom, surrounded by a grassy area is a square with geysers spouting water in all sorts of speeds, heights and patterns. I am told that at night it is also lit up and often there is music. 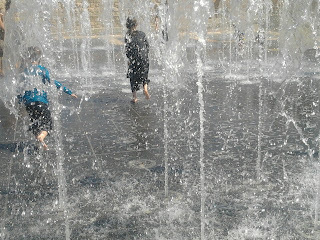 The geysers spray, I think, every hour on the hour, for half an hour. After we got there, they next started spraying at 10 AM, and continued until 10:30. Then they were on a break until 11. When the fountains are off, you can either relax on the grass, make a picnic, or a lot of kids go up to the pond above and splash around in that. 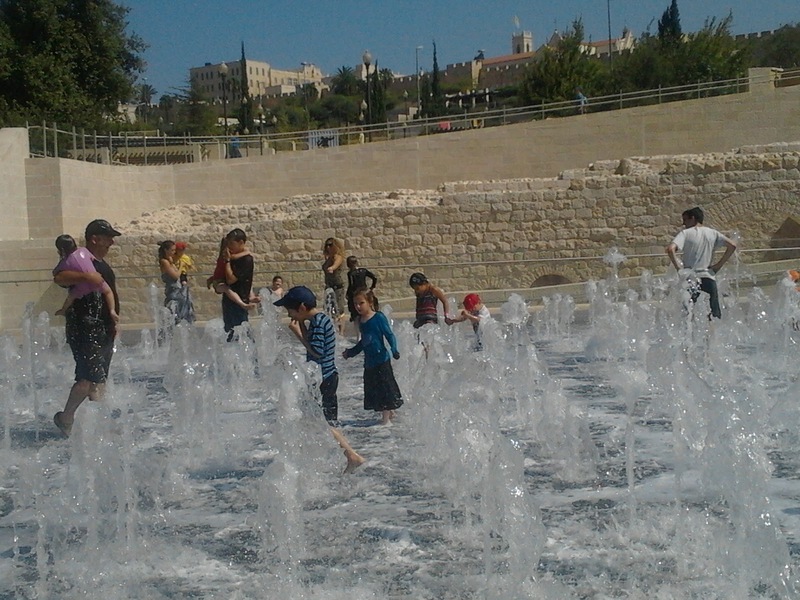 It was really nice, free, and a lot of fun.. you can do Teddy Park on its own, or you can combine it with Chutzot HaYotzer, the Old City, Gan HaPaamon, etc.. We definitely need one of these in Bet Shemesh! Are the child allotment cuts anti-haredi or not? Is Pat Condell a racist? PSA: Be in a viral video in RBS!